This recycled art was shown in the Art and Antique Gallery Studio show, Recycled in Fall of 2016. My old palettes started looking like flowers so that is how the title came to be. 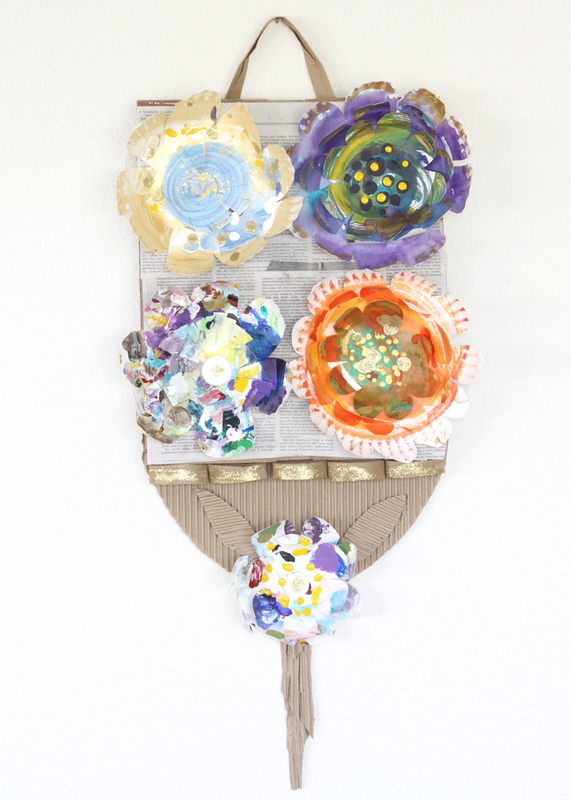 All of the pieces are parts from grocery bags, newspaper, paper plate palettes, toilet paper rolls and other forms. These show are always a challenge and so much fun to do. Now, I really think about what I am throwing away and have actually collected all sorts of usually thrown out items.